Sometimes kissing a boo-boo isn't enough, and when your child is in need, Victoria ER is here with world class care for your littlest darlings. Our physicians are board-certified and trained to treat special pediatric ER cases, and with on-site Imaging and Laboratory, we are prepared to make your child's visit quick and comfortable. Pediatric ER care is available 24/7, every day of the year, including holidays. See more about our services here. Victoria ER has a special exam room for children, decorated with inviting colors and the lovable gang of Peanuts characters. 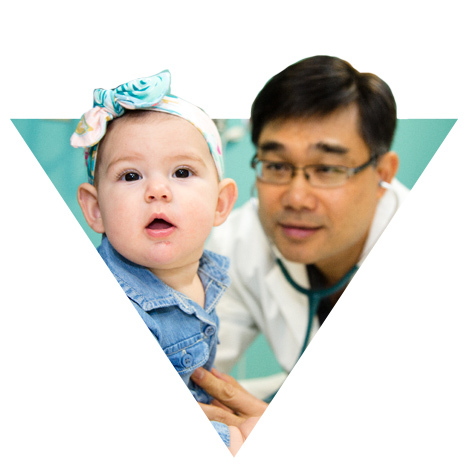 Our friendly environment is just one part of Victoria ER's concierge level care that you and your children will enjoy when seeing one of our physicians. "They had a impressive room for children. My son who is 2, even though he was not feeling like his usual self, was content to play with the toys they had. He was seen immediately."